Students work through voice-enabled interactive lessons that provide them with feedback and support throughout the mastery experience. Students work through algorithmically generated responsive assessments that gauge their level of understanding of concepts through an intelligent feedback and scoring mechanism. Students work through solved examples, exercises, and cases that contain research-backed pedagogies that have been tried and tested for over 30 years. Student data is transformed into understandable and actionable data through user-friendly dashboards that help instructors and coordinators monitor the real-time academic progress of individual students and the overall class. 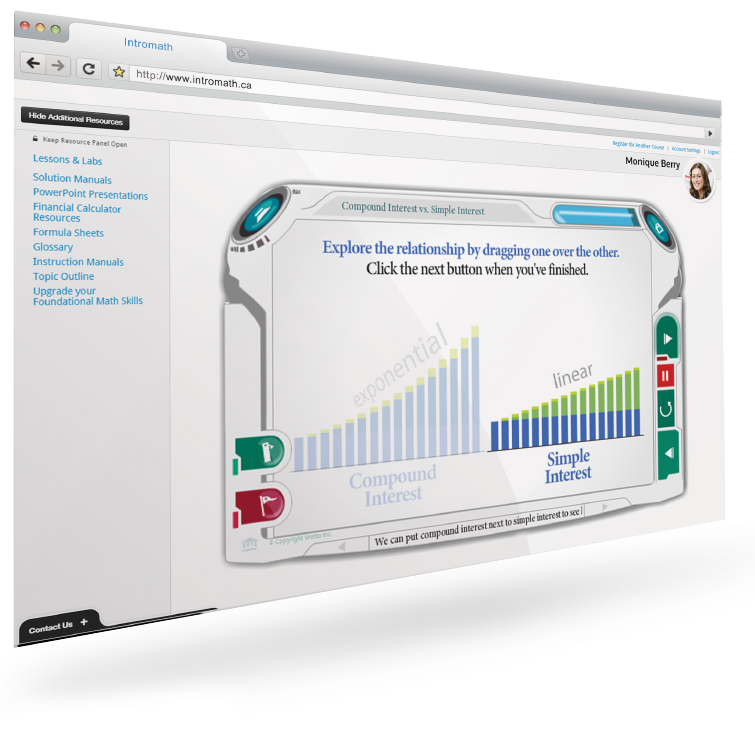 The dashboards also provide students with the ability to understand their strengths and weakness on core math concepts and problems. IntroMath is highly customizable to provide professors and coordinators with the flexibility to administer the course as per their teaching style. 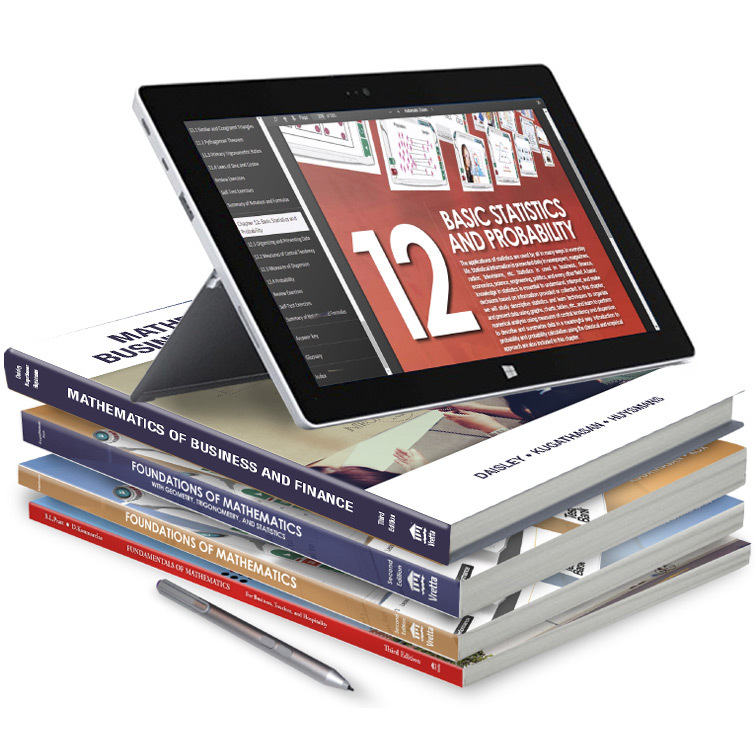 Courses can be easily setup, duplicated, and customized as desired. Due dates can be setup with automated email reminders to keep students up-to-date and on track. The test banks include over 4,000 questions with detailed solutions for professors to create tests and exams for students. 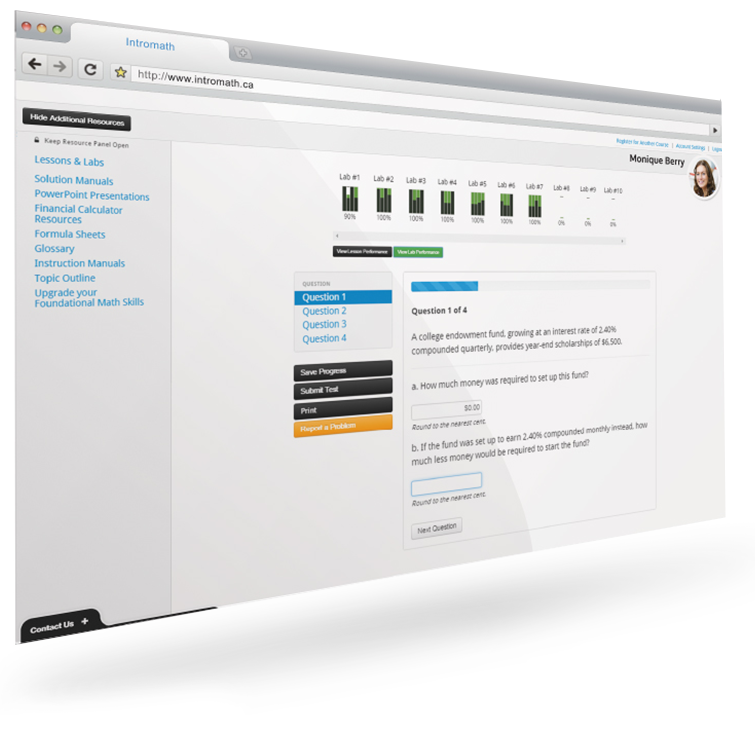 The streamlined homework management system enables instructors to select and modify questions from the test bank and offers options to adjust weightings and attempts allowed. If you like to access the online resources, receive a desk copy, or find out how you can raise the level of numeracy and literacy at your institution, either fill in the form below or book a demo to speak to one of our learning specialists.